The power supply market has been growing at a considerable rate lately. 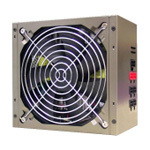 Several units are being released boasting anywhere from 600w - 2kw of power. The demand of high end computers is pushing manufactures to squeeze every bit of power out of a PSU they can. Today we are going to take a look at one of 2the Max's power supplies called the GPX750.